These little pups will definitely brighten any dog lover’s day. 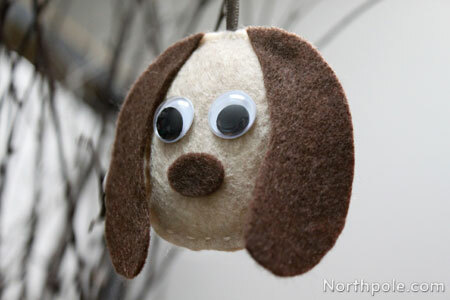 These felt ornaments are a bit less involved than some of our other felt ornaments, such as the basset hound, since we glued many of the pieces together rather than sewing them. 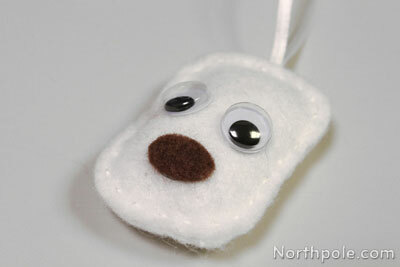 We used hot glue for this craft, but you can substitute felt glue if you want to make it more kid-friendly. There are two doggie patterns in the template for your crafting pleasure, so you can create a whole pack of puppies! 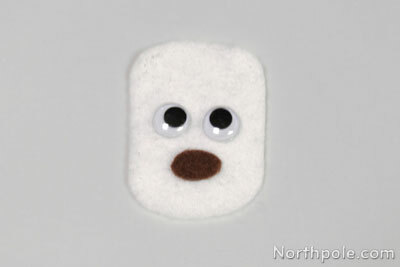 Use marker to trace template pieces on felt. Cut out 2 pieces of each shape except the nose. 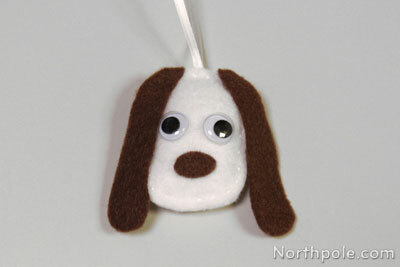 Glue the nose and wiggly eyes onto one felt piece. Cut a piece of ribbon that is about 10" long. Fold the ribbon in half and tie the ends in a knot. 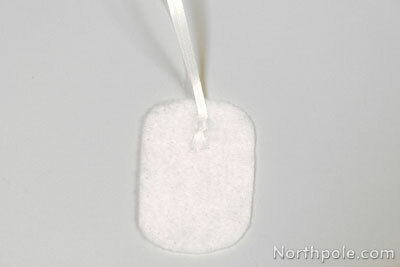 Glue the ribbon knot to the other felt piece about 0.25" from the top edge. Note: The glue is really hot, so be careful! 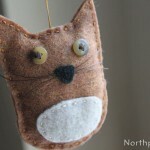 Also, don’t press down too hard, or the glue will bleed through and leave an indentation on the other side of the felt. Stack the two pieces of felt together and begin sewing. 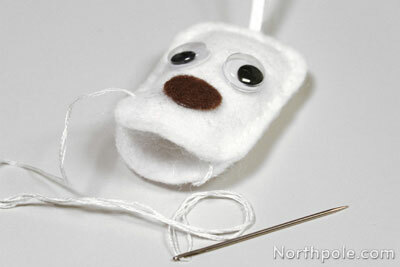 Once you’ve sewn about 3/4 around the dog’s head, stuff with Poly-Fil. 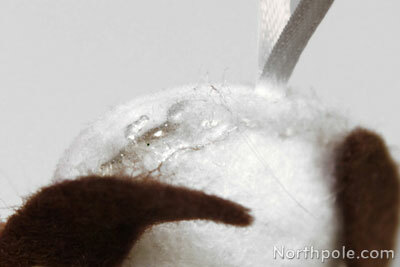 Continue sewing and hide the thread. 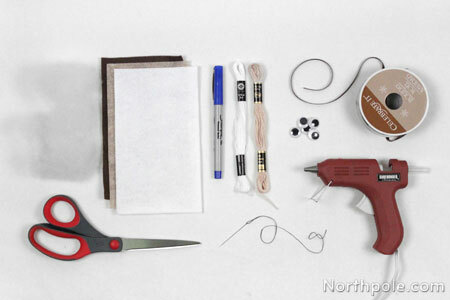 See this article to learn how to hide the thread. Lay the ears on the dog’s face and position them in place. 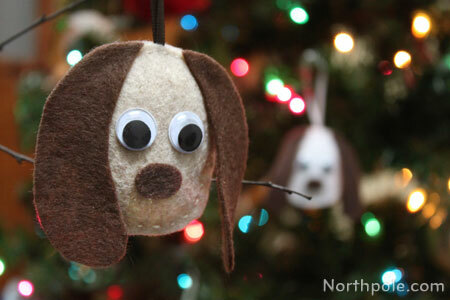 Now your puppy ornament is complete and ready to hang on the Christmas tree!